Do you ever have one of those weekends that just seems too good to be true, where you get to hang out with dear friends, and enjoy a few of your favorite things all at the same time? It was like a dream! This past weekend was amazing in my book, y’all. 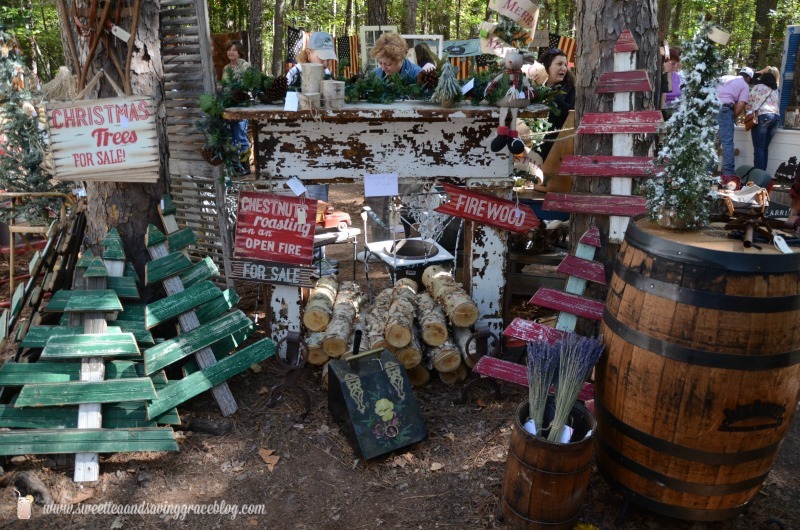 My blog bestie Bethany from Pitter and Glink, and her hubby, came to visit for the weekend, and we got to attend the Atlanta Country Living Fair at Stone Mountian Park! 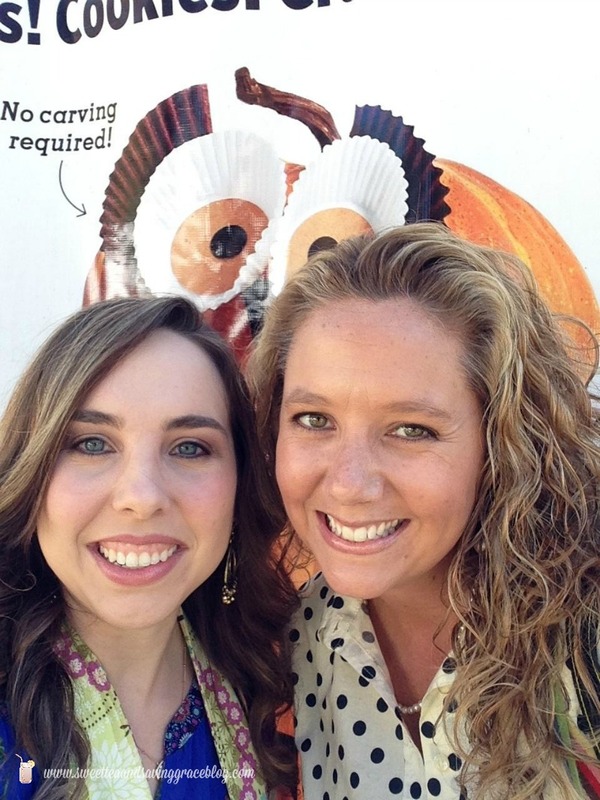 The weather was perfect, the shopping was tremendous, and good times were had by all! 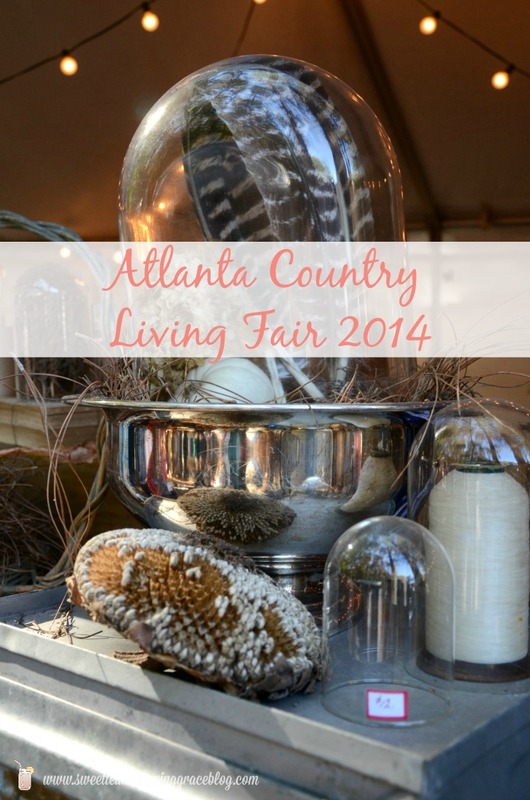 I owe a huge “thank-you” to the fine folks at Country Living Magazine and Hometalk for inviting me, along with a great group of Atlanta bloggers, to this craft fair of epic proportions. It was seriously awesome-sauce, and I’ve got gobs of pictures to share. 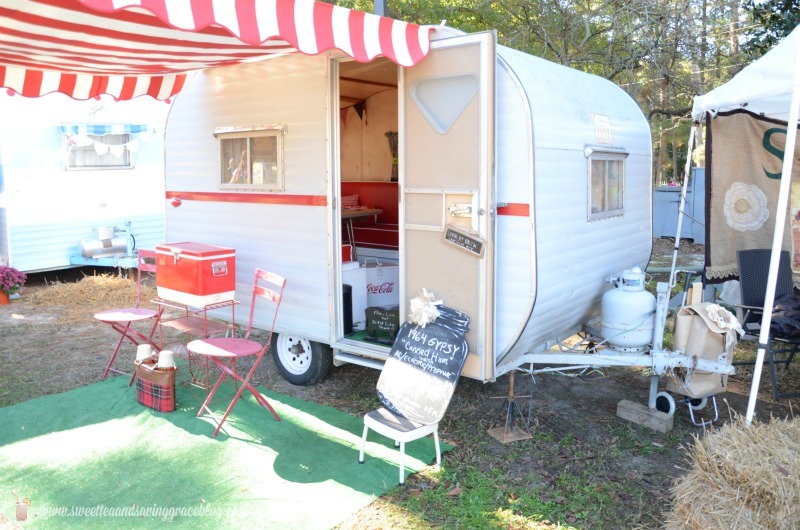 Upon arrival, the first thing we noticed were these super cute mini campers all fixed up and decorated. 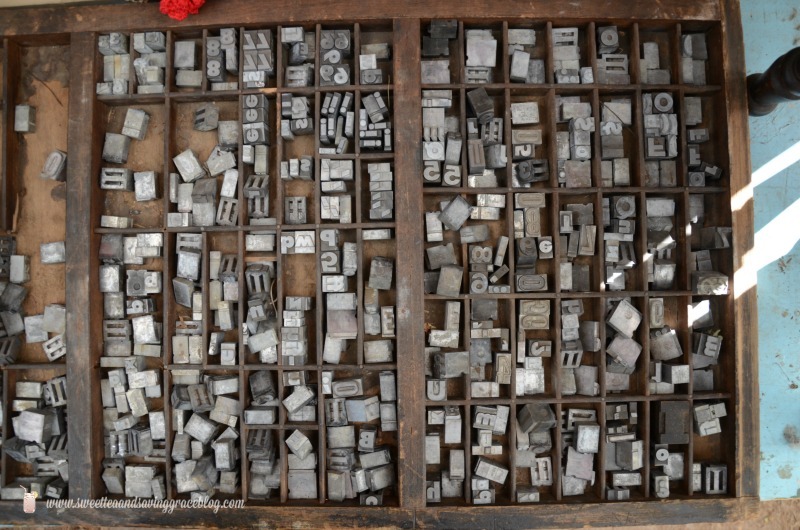 It was fun to poke our heads in and see the vintage style both inside and out. 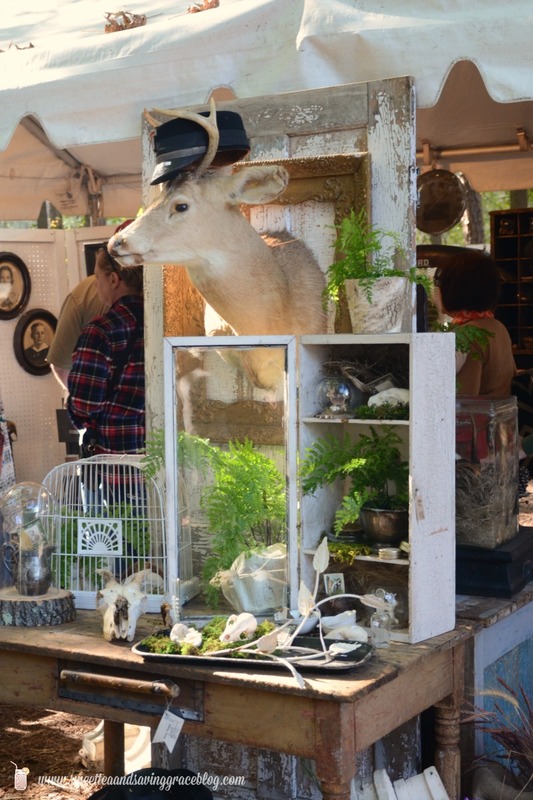 Country Living Magazine had a huge area set up full of gorgeous finds and vignettes. 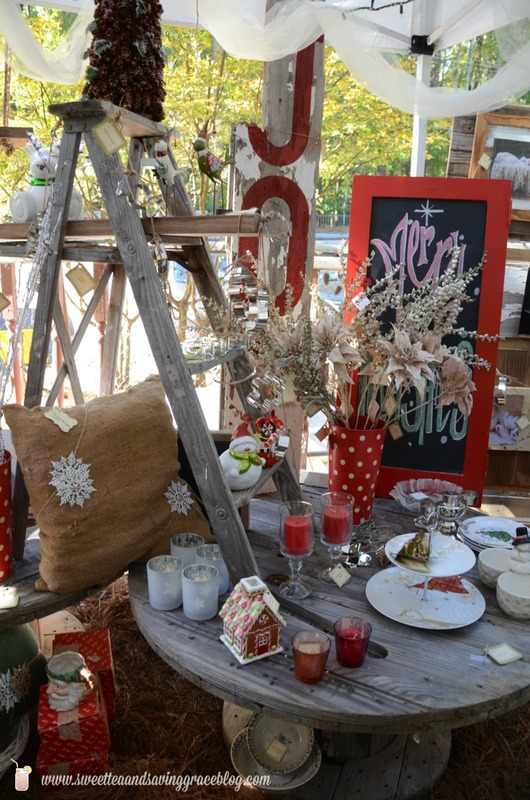 This tablescape is stunning. 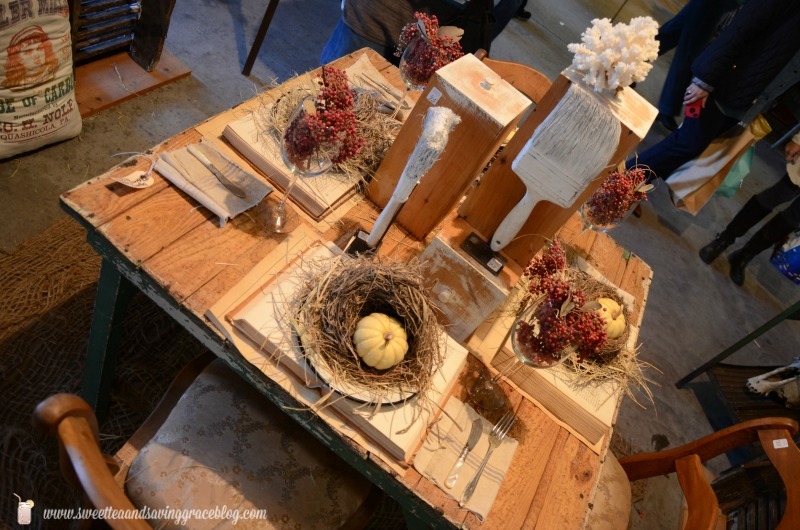 I love everything from the old books as placemats to bird nests and dried paintbrushes as decor. Just awesome. 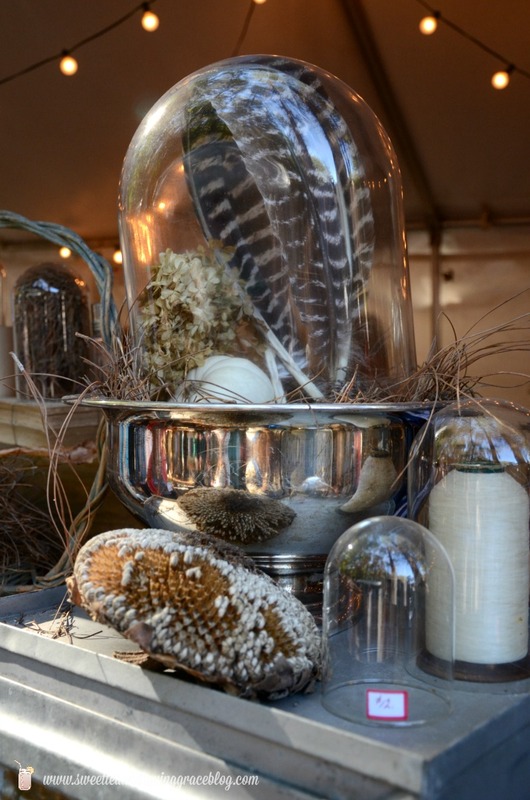 There were feathers everywhere! It was just lovely! This dapper gentleman caught my eye. Isn’t he handsome? Dilley’s was by far my most favorite vendor of the fair. The owner was as sweet as sugar, and her products were amazing and fabulous and extra unique. Seriously, Dilley’s rocks my socks y’all. There were some really pretty seasonal decorations, too! 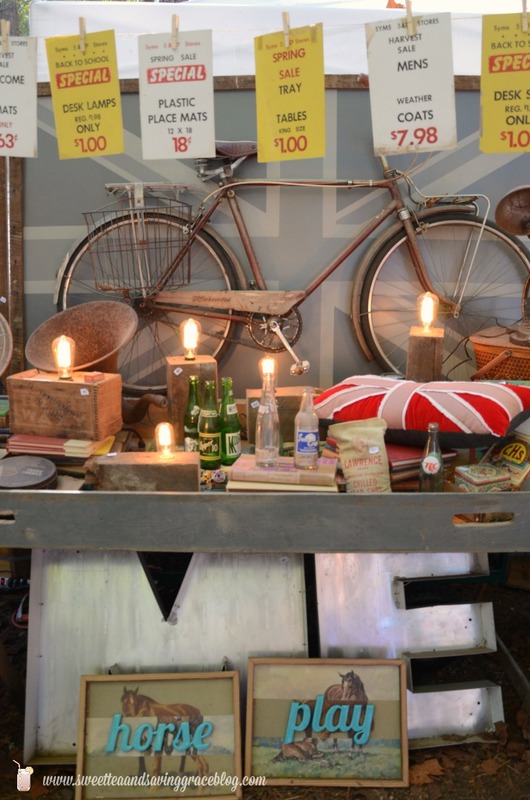 I wanted to just live at the Country Living Fair. Isn’t this so pretty? 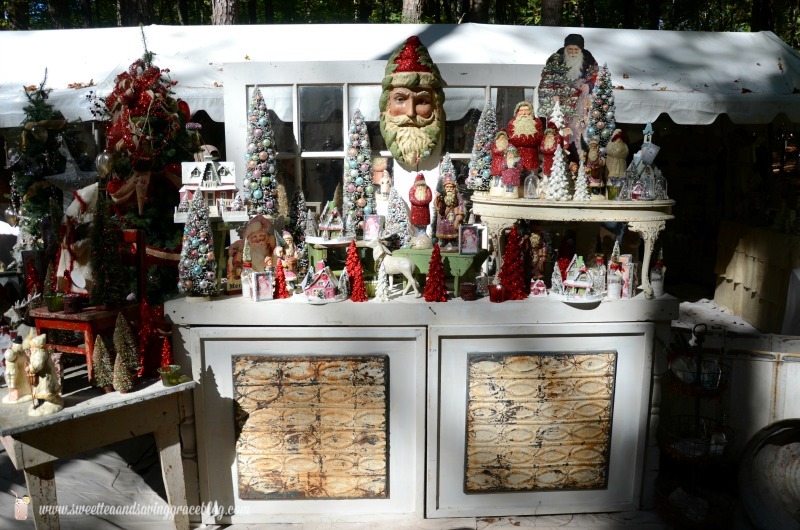 Jolly old St. Nick made several appearances in the form of vintage Christmas decor. 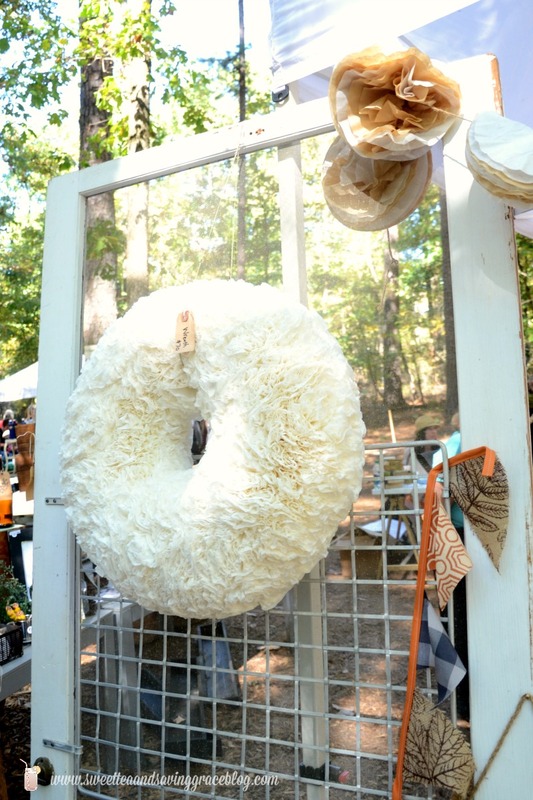 This coffee filter wreath just stopped me in my tracks, literally. I had to inquire about it because it was absolutely PACKED full of coffee filters. The shop owner said it took about 4 1/2 hours to make this size, and she sold out of the larger size on the previous day of the fair. Wow! I brought home some really cool stuff, and honestly could have gone crazy but did well to control myself. 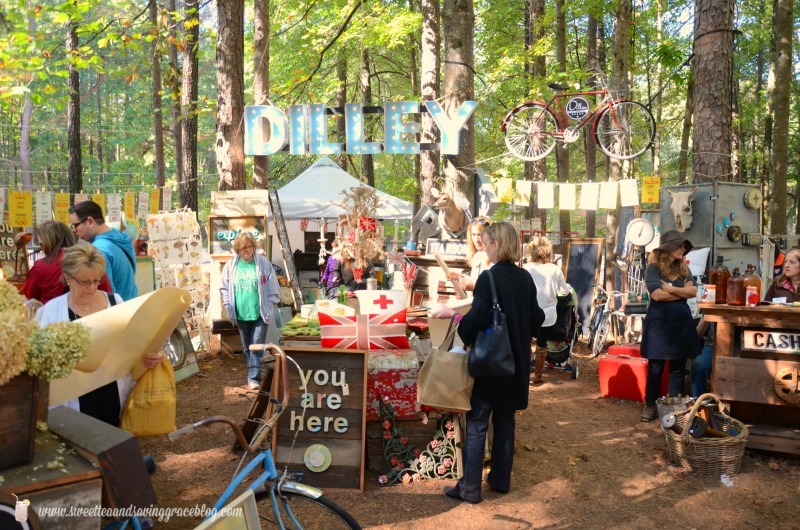 Thankfully, several of these vendors are close to home so I can pay them a visit again soon! 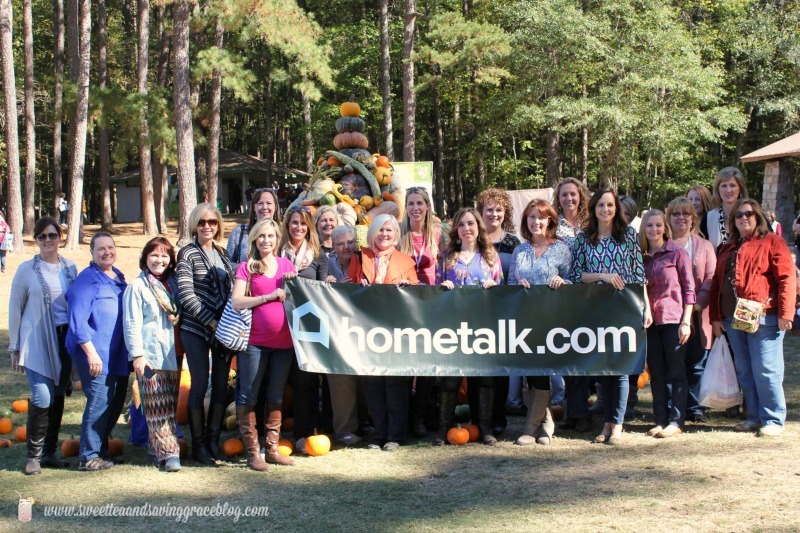 Thanks again to Country Living and Hometalk for an amazing weekend!